It was England vs Czech Republic on Friday afternoon in Heerenveen, The Netherlands, with the winner securing a spot in the 5th/6th playoff match on Sunday. 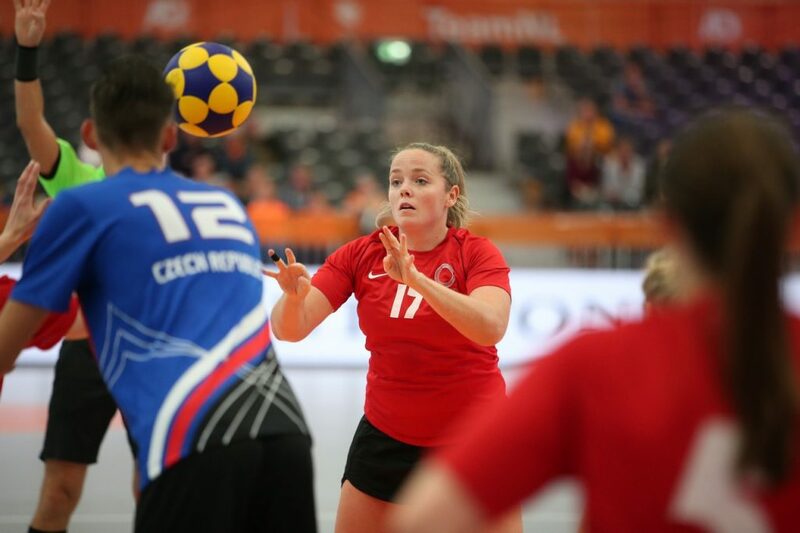 England last played Czech Republic two years ago at 2016 edition of the IKF European Championships and won both matches 14-8 and 17-14. England coach Rob Williams started with Shane Buckland, Dave Brooks, Amy Turner, Shannon Jones in attack and Blake Palfreyman, Owen Bailey, Natasha Dawson and Lizzie McCloud in defence. This was not one of the more attractive matches of Korfball at this European Championships, with both teams appearing nervous throughout, which isn’t a surprise considering how close the scoring was in the match. The match however did keep the spectators on the edge of their seats! 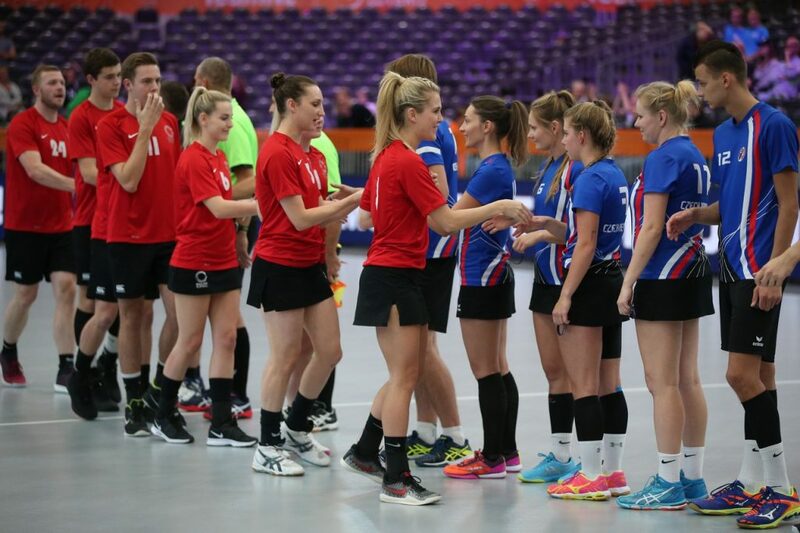 The first quarter ended 6-5 in favour of Czech Republic with goals from Buckland, Bailey, Brooks (2) and Palfreyman. Then the goals stopped. Four goals were scored in the second quarter, two for each team. With England’s goals coming from Bailey and Brooks. Czech Republic went into the half-time break 8-7 ahead. Whatever was said during the halftime break by the coaching staff certainly helped both teams as the goals started to drop again during the third quarter. England made the perfect start to the third period with three quick goals from Bailey and a brace from Turner which put England into the lead for the first time since Buckland’s opening goal of the match. It was no surprise that Czech Republic did not throw in the towel at this point. Both teams knew that they were entering a crucial part of the match. The teams continued to trade goals throughout the third period including Czech Republic’s 5th and 6th penalties of the match. With just 1 second left in the third quarter Martina Klackova manages to and scores to move the scores on to 13-12 in favour of Czech Republic. England now had just 10 minutes remaining to get a result. In the fourth period of the match England scored 3 goals courtesy of Palfreyman, Turner and Vogwill. Czech Republic also scored 3 goals. End of the game: 16-15 in favour of Czech Republic. Dave Brooks and Owen Bailey top scored for England with four goals each. Amy Turner was our top female goal scorer who scored three goals of her own was awarded the Player of the Match award – Congratulations.. The final between Germany and The Netherlands starts at 3pm BST on Sunday, 21 October 2018 in Heerenveen.